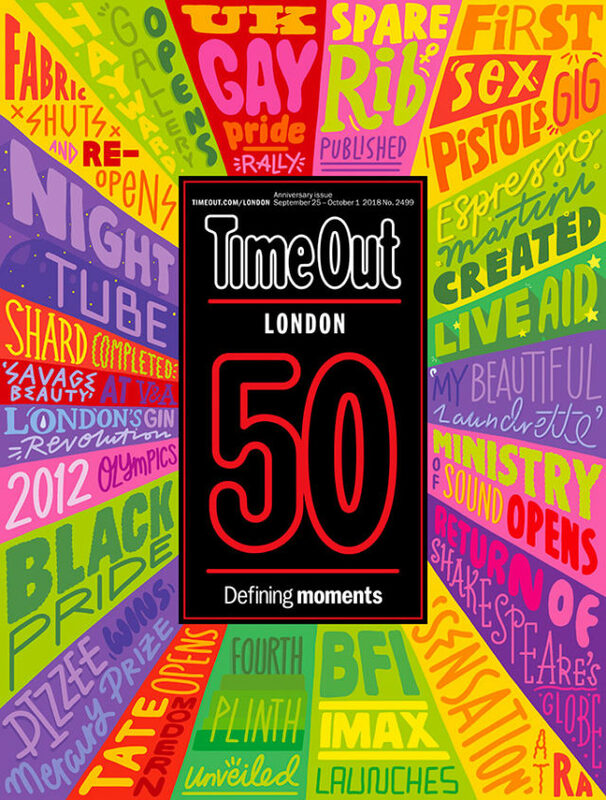 Kate Moross has designed the cover for this week’s Time Out. But this week’s is not just any issue, it’s one of three issues celebrating the 50th birthday of the magazine. Over the last three weeks of September they’re dedicating three special issues to 50 things – Places, People and Moments. Kate has created the cover for ‘Moments’, which uses a typographic design in Kate’s signature style to reference the 25 moments, from the ‘60s to the present day, featured within the magazine. The cover will also be produced as posters to be handed out at Time Out’s 50th birthday party later this month.